It really feels like Christmas at my house. 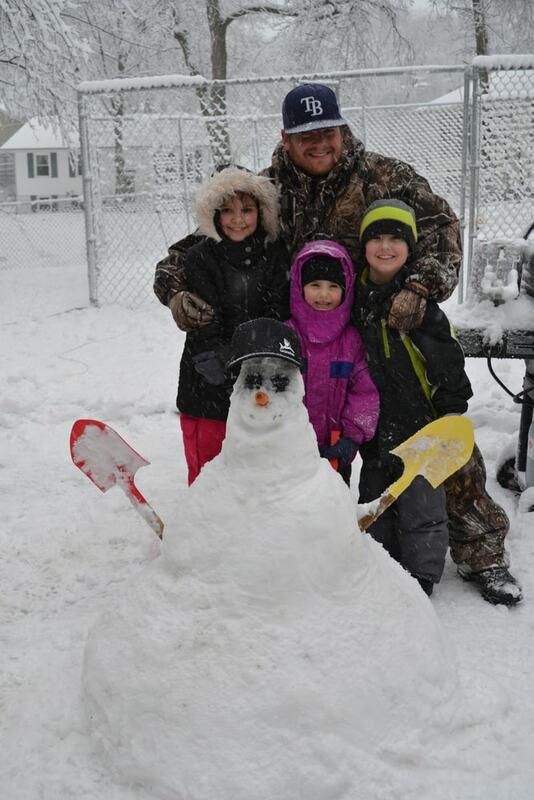 We got 6 plus inches of snow yesterday. 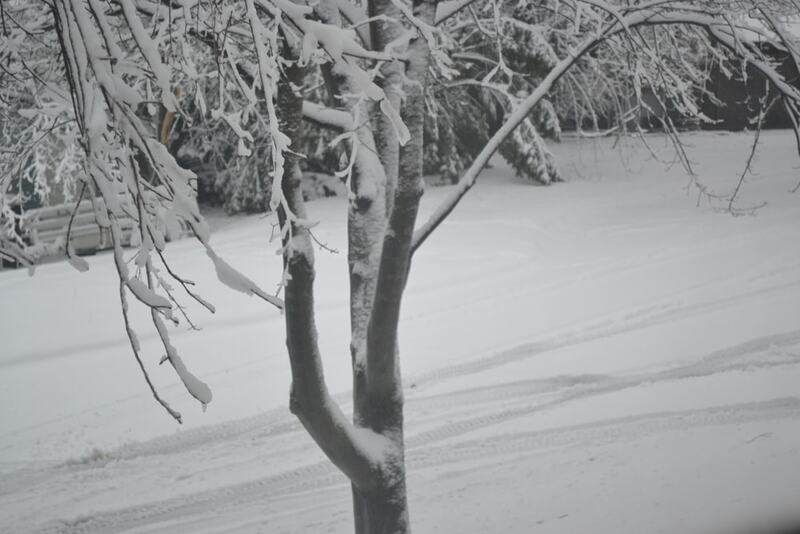 Since we are from Florida it is definitely a sight to be seen and the kids are excited for a white Christmas. Here is a peek into our backyard. So we are staying in, keeping warm, and enjoying each others company. The kids and I got out the card games and played a few mean hands of Old Maid earlier. 🙂 I just really feel like this week is for family. With all the shopping done, presents wrapped, etc. It is time to be grateful for the ones that I love, and truly enjoy their company. Speaking of ones that I love, there is this big guy who loves coconut cake. He is pretty handsome, if you ask me. Although, I have been nagging him to do something with that beard. 😉 Every time I get the mixer out he says, “Are you making a coconut cake?” This year I let each family member pick their favorite type of Christmas cookie for me to make. Of course, my hubby said, “Coconut Cake”. 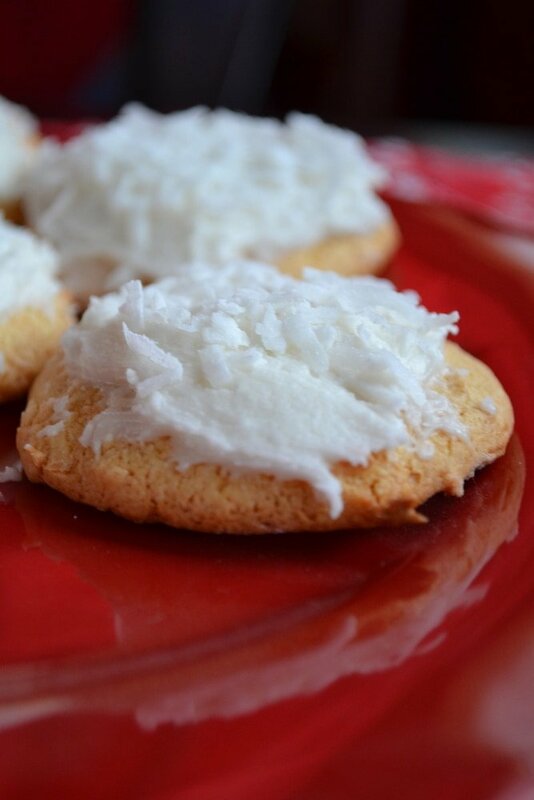 Well, since I was making cookies I decided to make him these Coconut cookies which are the next best thing and , if I do say so myself, they turned out AWESOME! In a mixer beat together the cake mix, egg, Vegetable oil, milk, and coconut until dough forms. Drop by rounded tablespoonfuls on a parchment lined baked sheet. 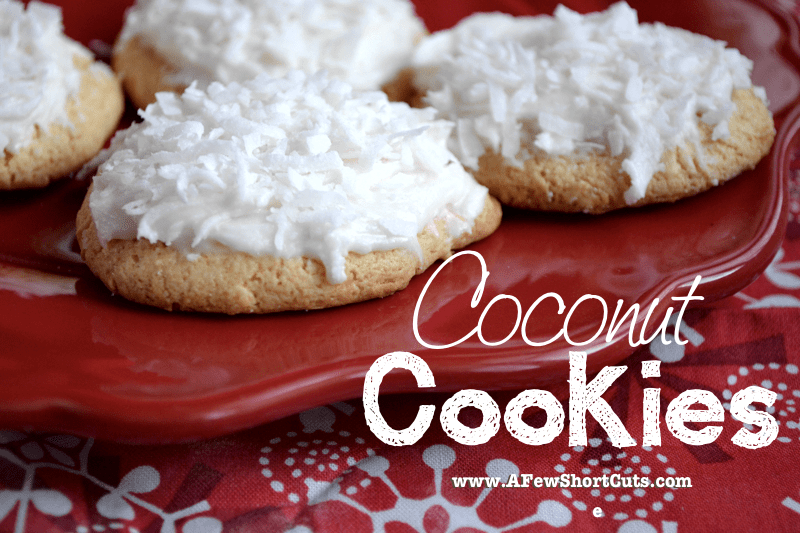 Ice each cookie with frosting and sprinkle more shredded coconut on top. Dairy Free: Use a dairy Free Icing and use a dairy free milk ie: almond, soy, coconut, etc.